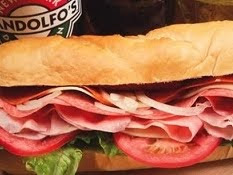 50% off at Gandolfo's New York Deli! Today's Screamin Coupon is a $20 Gift Certificate to Gandolfo's New York Deli for $10!! And you can buy as many as you want! Also if your new to Screamin Coupons you'll get a $5 Credit! !